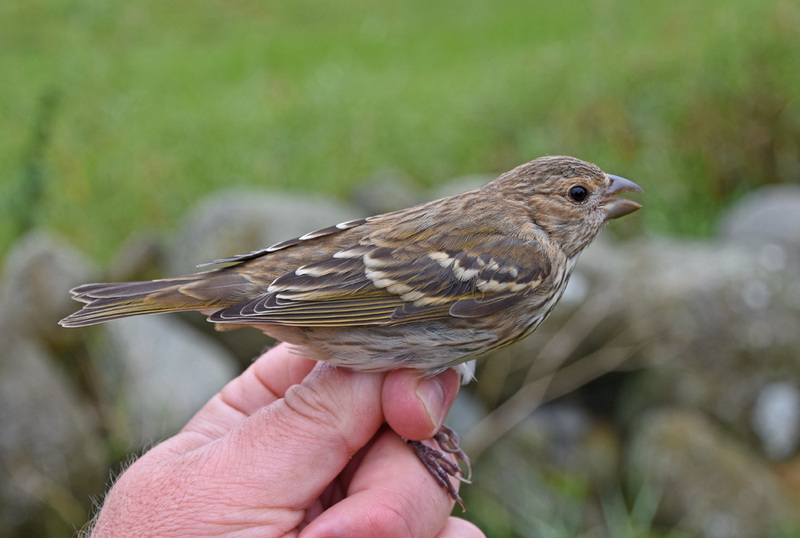 The first Common Rosefinch of the season was trapped today. Nets open 06-15, netmeter hours approx. 3200. Cloudy, periods with rain. Playback on Garden Warbler, Reed Warbler and Grasshopper Warbler through the night, Green Sandpiper, Wood Sandpiper, Greenshank, Tree Pipit and (last part og the day) Meadow Pipit. 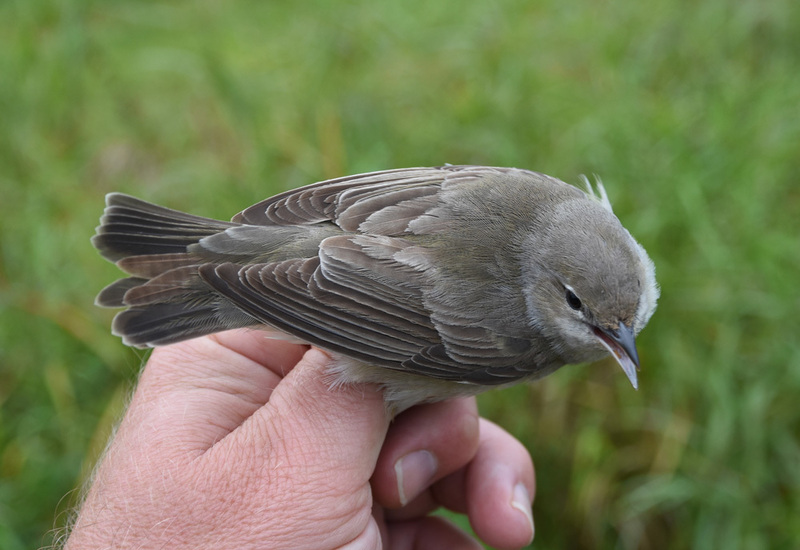 Ringed: Green Sandpiper 1, Wood Sandpiper 1, Meadow pipit 20, White Wagtail 1, Northern Wheatear 1, Grasshopper Warbler 1, Reed Warbler 3, Garden Warbler 14, Blackcap 1, Common Whitethroat 1, Chaffinch 1, Common Rosefinch 1 (first this season). Total = 58. Also 5 controls. The first Common Rosefinch of the season was trapped today. As usual, it was a 1cy. Rosenfink 1K. 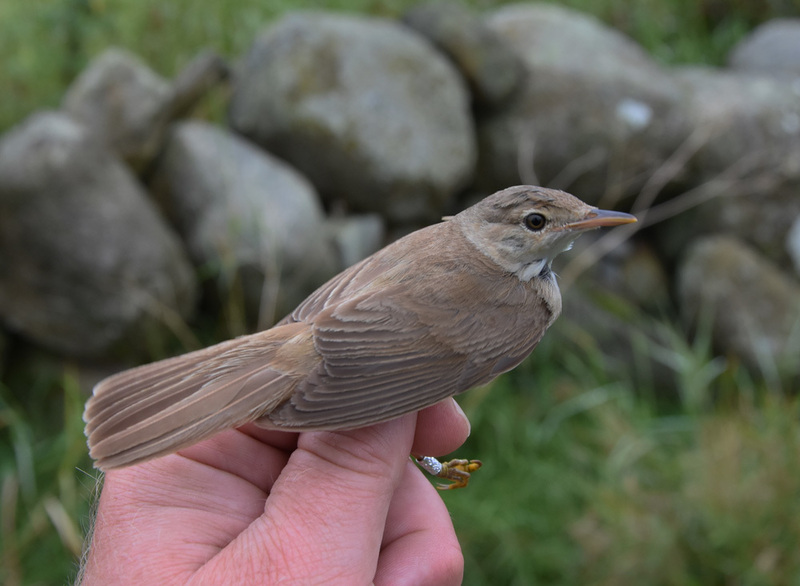 2 cy+ Reed Warbler (top) and 2cy+ Garden Warbler. We trap very few adults of these species, and both on the same day was a rare opportunity to show them together. Both are aged as adults by the generally worn plumage, often most pronounced on the tertials but clearly visible also in the primaries. The Garden Warbler has replaced most of the tail apart from the central pair. Rørsanger (øverst) og hagesanger. Begge 2K+.